The woman who acted as driver for a pair of men who pleaded guilty to the shooting death of Gervais man Kenny Kalugin had murder and robbery charges against her dropped due to lack of evidence. 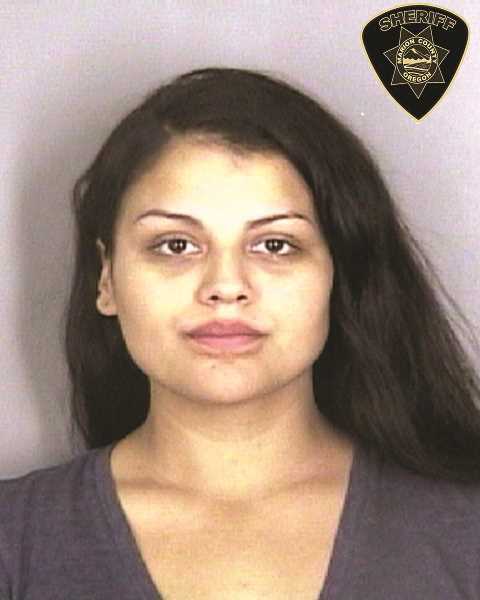 Vanessa Garcia-Beiza, 25, of Cloverdale pleaded guilty to hindering prosecution and was sentenced to five years of probation for her involvement in the murder of Kalugin. On Nov. 10, 2017, Salem Police discovered the body of Kalugin, 37, in a vehicle located on the alley in the 1800 block of Liberty Street Northeast. An autopsy revealed that Kalugin's death was the result of gunshot wounds. According to a probable cause statement signed by a Salem police officer on Nov. 14, Garcia-Beiza was the driver of a vehicle for the co-defendants Zachary Urton, 37, of Dundee and Jose Barboza-Manzo, 22, of Salem (neither of whom are named in the statement) who met to take drugs from Kalugin. Garcia-Beiza was identified after witnesses said her vehicle drove by the robbery scene. Garcia-Beiza said she transported a co-defendant to the robbery location, knowing the plan was to be "fronted" drugs from Kalugin since they did not have money. One of the co-defendants was armed with a handgun and assured the other co-defendant they would get the drugs. According to the probable cause statement, Garcia-Beiza also admitted she drove the two co-defendants away from the scene after she heard shots fired by one of the co-defendants. Video surveillance showed one of the co-defendants reach into Kalugin's vehicle and take something out after the shots were fired. According to court records, both Garcia-Beiza and Barboza-Manzo were accused of attempting to commit the crime of first-degree robbery and in the course of that crime killed Kalugin. The co-defendants were also accused of using a deadly weapon "with the intent of preventing and overcoming resistance" by the victim. Urton was arrested four days later, and in March, pleaded guilty to the aggravated murder of Kalugin and two counts of attempted robbery in a separate incident. Aggravated murder is a Measure 11 crime and carries a minimum sentence of 30 years in prison, upwards to life. Urton is scheduled to be officially sentenced later this month. In December, Jose Barboza-Manzo, 22, of Salem pleaded guilty to the murder of Kalugin and received a sentence of life in prison with the possibility of parole after 24 years. According to court documents, Garcia-Beiza's attorney was intending to cite an Oregon law for affirmative defense, stating that Garcia-Beiza did not believe her co-defendants were armed or intended to murder Kalugin. Marion County Judge Audrey Broyles dismissed the two charges against Garcia-Beiza on April 1. She was later plead guilty to one count of hindering prosecution, admitting to hindering the apprehension, prosecution and punishment of Barboza-Manzo and Urton by lying to investigators. Garcia-Beiza was sentenced to five years of probation. She was ordered to take a parenting class, participate in a substance abuse evaluation, obey all DHS directives and have no contact with either Barboza-Manzo or Urton.